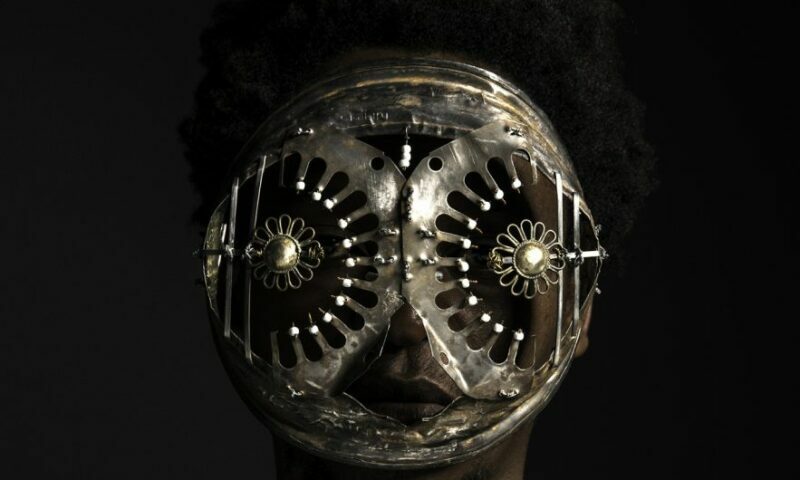 Cyrus Kabire, Macho Nne, Another Mask, 2017. C-type print on diasec mount, 150 x 120 cm. Gathering more than 30 artists from the continent and its diaspora, Material Insanity explores the material and its symbolic significance in a plurality of dimensions and formal experiences. Through installations made from everyday objects or materials, the exhibition combines various discourses in the service of a new aesthetic. With an immersive scenography created by the architect and artist Zineb Andress Arraki, the artworks of Material Insanity question the relationship between form and meaning, while sublimating the potentialities of the medium itself.